Welcome to a place where fashion, plus outlets, dining and entertainment equals a destination you have to experience to believe. One of the most unique collections found anywhere in Canada presents an unrivalled luxury outlet shopping experience for savvy shoppers from all over the globe. The world’s leading fashion and lifestyle brands await you including: Sephora, Saks Fifth Avenue OFF 5TH, Nordstrom Rack, DSW, Calvin Klein Outlet, Victoria's Secret, Victoria's Secret PINK, A|X Armani Exchange Outlet, Hugo Boss Factory Store, Banana Republic Factory Store, Michael Kors Outlet, The Outlet by Harry Rosen, TUMI, Brooks Brothers, MAC Cosmetics, Cole Haan, Vince Camuto, Tommy Hilfiger Outlet and so many more. Vaughan Mills also includes world-class entertainment attractions, such as Pro Hockey Life, Bass Pro Shops Outdoor World and LEGOLAND Discovery Centre. Located in the city of Vaughan, just 32 kilometres north of downtown Toronto, the centre is easily accessible along Highway 400 northbound, and as a designated tourist site is open most statutory holidays. Vaughan Mills is open 362 days a year - closed on Good Friday, Easter Sunday, and Christmas Day. Free, seasonal transportation can be accessed by using the Vaughan Mills Shopping Shuttle. Shuttle service for the 2018 season operates June 1st - September 30, and November 23 - December 26*. Still unsure? 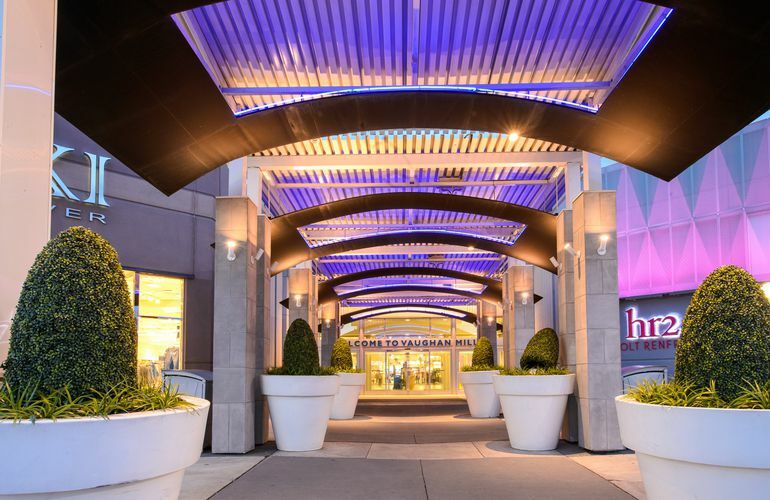 Check out the Top 10 reasons to visit Vaughan Mills today! *No shuttle service on December 25.